My new dream is to own a clothing store. My real passion in life is not litigating but shopping and finding good deals. It seems the best way to monetize that is to allow myself to shop and find good deals but then turn them around and sell them for a profit. It's my new goal with this new re-brand, and it seems like something I can do while litigating during the day. I've recently been inspired to do more vintage or secondhand shopping, under the guise of "sustainability" while also saving money, owning clothes that are more unique and of better quality. I was recently looking for a cool hand-held bag to wear to the two weddings I will be attending this fall. I was inspired by this heart-shaped Maryam Nassir Zadeh bag that I saw on an outfit shot on ManRepeller, but I couldn't find it anywhere. Nor could I find any suitable alternative. This is neither here nor there. 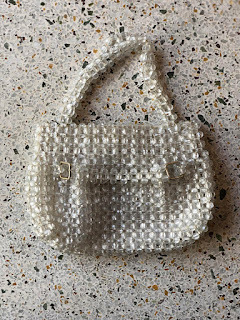 I then was inspired by the ever-popular Shrimps beaded bags, which I obviously can't afford at $520. They are everywhere at the moment and would perfectly accessorize a basic teal bridesmaid dress. I was further inspired by Karen Britchick's lime green beaded bag that she found at a vintage shop. I immediately started scouring etsy and eBay for a similar bag. It was more difficult than I had anticipated. 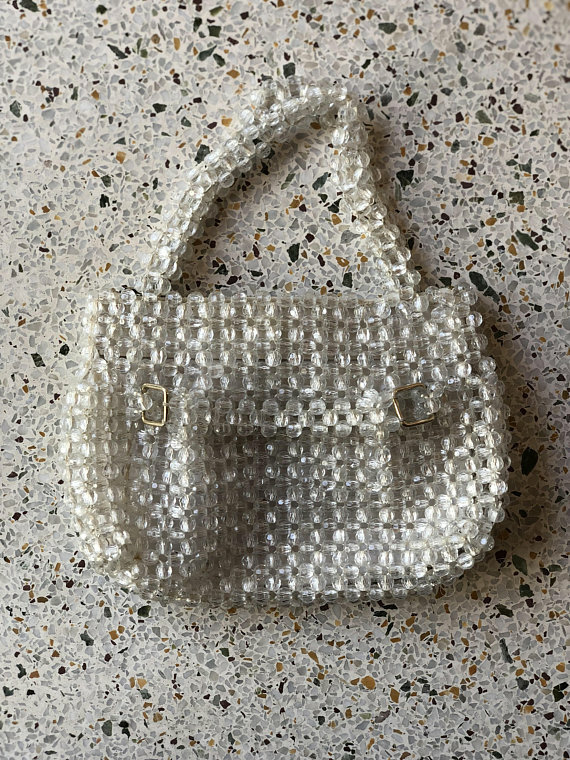 I was searching "vintage beaded bag" and going nowhere. 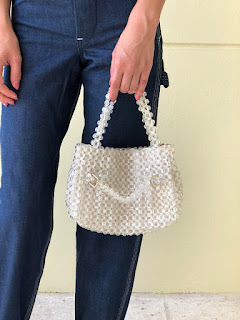 It was mostly the tiny beads on grandma bags, instead of the large kindergarten-necklace style beads that are in right now. I ended up finding and buying this bag from the shop closetcaseVNTG on Etsy. Her shop is amazing and it's what I hope to emulate, style-wise. The etsy shop showed photos of the bag in hand, and styled, which allowed me to fully visualize what it would actually look like on. All of the other beaded bags I saw were just laid out on tables. She is able to charge more for her items because buyers can see how they would look styled, and how cool they can look. It's sort of the same way that NastyGal got started, but that sort of got away from her. Other things I want to buy from her include this jumpsuit, this maxi gown, and this sweater. I want to get them because I can already see how they fit on a model, and based on how much fatter than her I think I am, I can visualize more or less how the item would fit on me. Immediately when I saw the bag on her site, I thought "I want that!" It's the same phrase I used to exclaim when I was a kid watching toy commercials on Nickelodeon. What a darling daughter I must have been. It's the style mantra I want to use from now on when buying clothes. I want to aim to buy clothes and accessories that I can wear myself and I would want if I saw it on someone else. I'm hoping to focus for now on reselling my own clothes and only buying clothes to resell that I would actually wear myself. 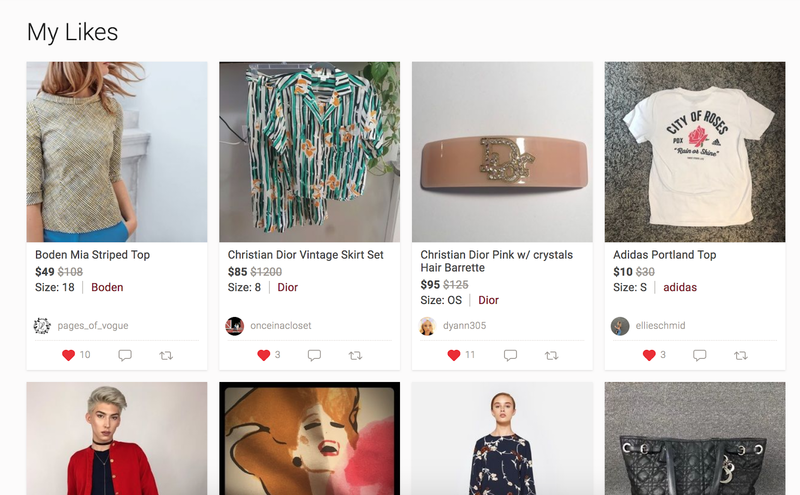 A lot of people on instagram and poshmark that are full-time resellers just find brands at goodwill, which is a totally reputable hustle but not something I have room for in my current apartment. For now I will focus on things that give me a feeling of "I want that!" Hopefully I can further refine my style by really leaning into this. My vibe right now is chic streetstyle professional. I want to further develop this vibe by adding in vintage and thrifted items. I hope to also lean further into the professional aspect of this vibe as I think that's an unexplored niche thus far. I'm clearly not a New York fashun girl but I can be a SF Bay Area stylish yuppie young attorney. 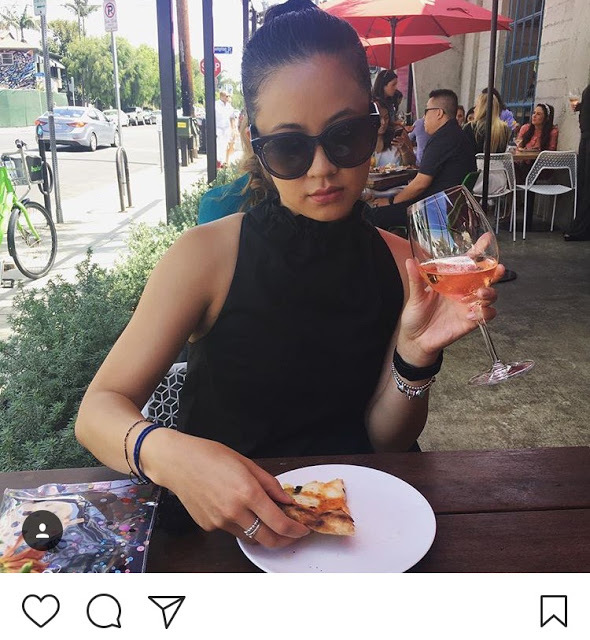 My bread and butter includes Celine sunglasses, sweater blazers, baseball caps, skinny jeans, backpacks, and tennis shoes. I'm hoping to get more into actual blazers and trousers. They are both things I want to start wearing more. Hopefully that will translate through and I can sell those kinds of clothes to likeminded people.